Charming, move-in-ready home in East Arroyo Grande with a pool! This adorable 3 bedroom, 3 bathroom single-level home looks like it jumped off the pages of Pottery Barn! It is located in a prime location within the Branch Elementary School Boundaries on a quiet cal-de-sac and across the street from Strother Park! Nearly the entire house has been updated from top to bottom, including two recent bathroom renovations that feature Carrera Marble, upgraded hardware, and the wow factor you see in much pricier homes! Additional interior renovations include: updated plumbing and electrical, dual pane windows and slider, solid core interior doors, forced air heating and new ducting, hardwood floors, new interior wall texture and paint and recessed lighting. And the backyard? It feels like your own private retreat! Enjoy the East AG weather in the like new pool (Fiberglass recently redone along with new energy efficient pump and heater) and custom pergola along with the fenced/gated patio with Trex decking! 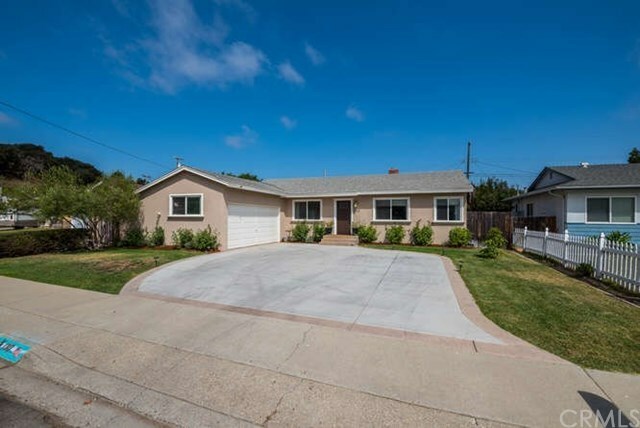 Exterior improvements made in the last few years include: replaced plumbing under the concrete driveway, sprinkler systems in the front and back, new stucco, reinforced support of the foundation and new fencing! Act quick....houses like this do not come on the market very often...you must see this one to appreciate all of its charm!!!! Directions: East Branch through the Village. Right on Huasna. Left on Rosewood Lane.